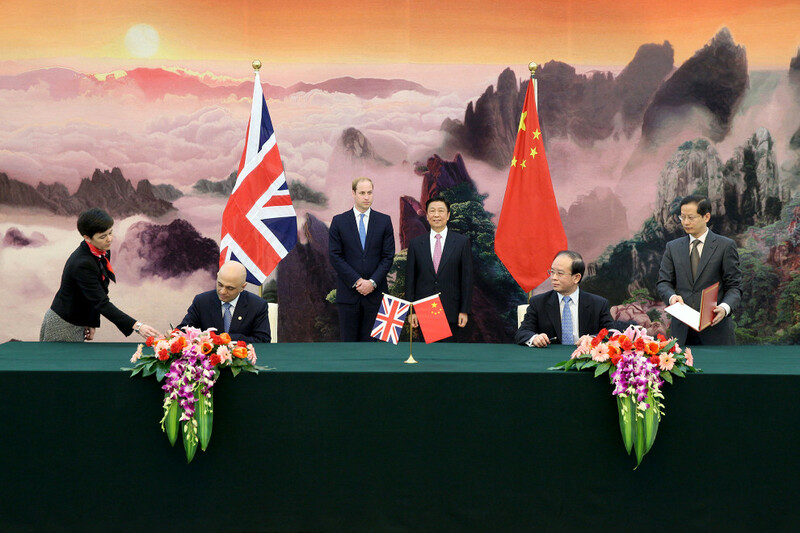 HRH The Duke of Cambridge and Vice President Li Yuanchao witness a signing ceremony between the United Kingdom's Secretary of State for Culture, Media and Sport, Sajid Javid MP and China's Vice Minister for Culture, Ding Wei, marking the start of the 2015 UK-China Year of Cultural Exchange. 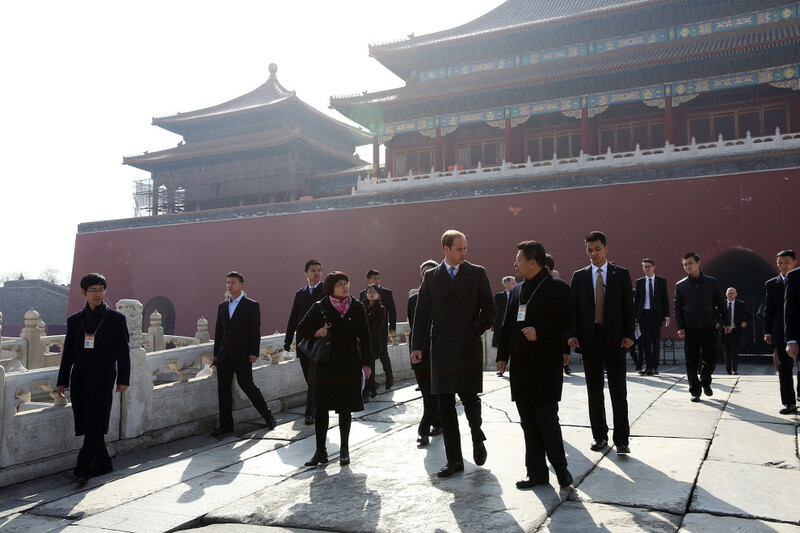 HRH The Duke of Cambridge visiting Beijing's Forbidden City. Media wait for HRH The Duke of Cambridge outside Shijia hutong in Beijing, where he met with charities supporting vulnerable young Chinese people. HRH The Duke of Cambridge enters the Great Hall of the People in Beijing prior to a meeting with China's Vice President Li Yuanchao. 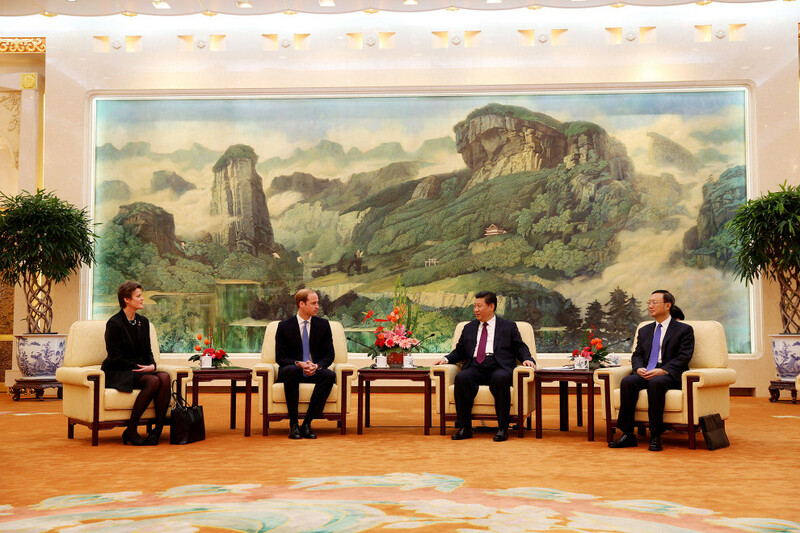 HRH The Duke of Cambridge meets with Chinese President Xi Jinping in the Great Hall of the People in Beijing, China. 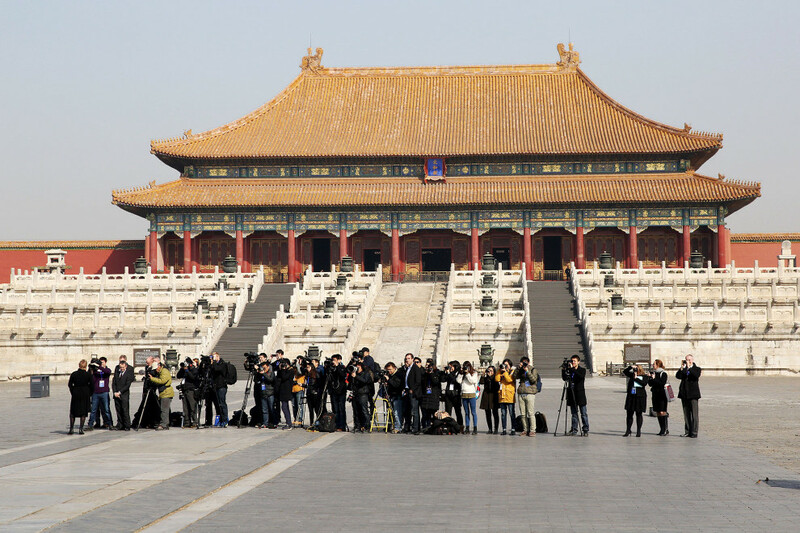 Media gathered to report on HRH The Duke of Cambridge's visit to Beijing's Forbidden City. 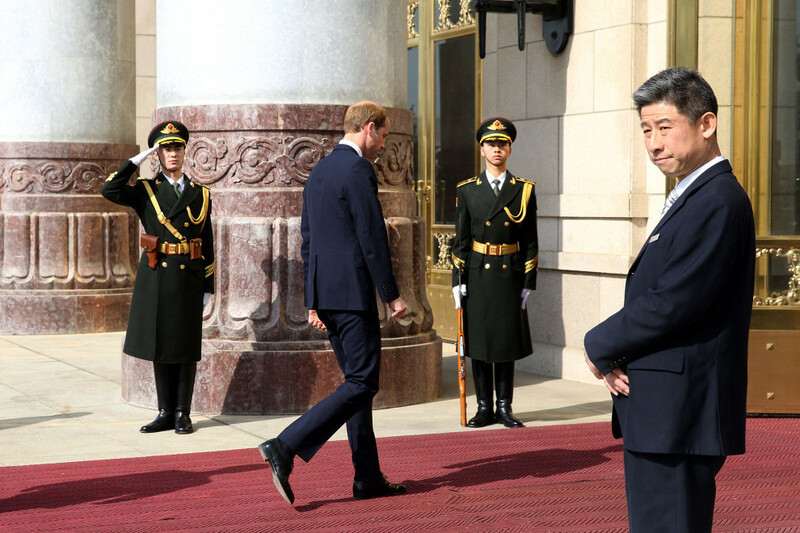 In March of 2015, HRH Prince William, the Duke of Cambridge, made his first visit to China. I was commissioned by the British Embassy in Beijing, in the capacity of official photographer, to document his trip to the capital which involved visits to the Forbidden City, Shijia hutong and meetings with Chinese president Xi Jinping and Vice President Li Yuanchao.